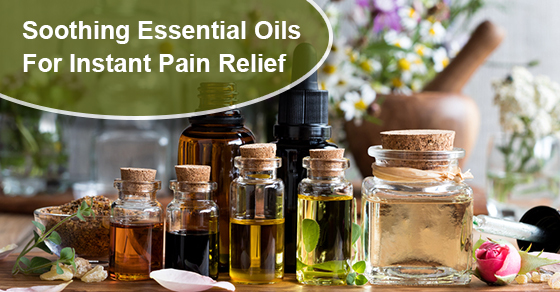 5 Soothing Essential Oils To Rub On Your Sciatic Nerve For Instant Pain Relief | Dynamic Physiotherapy & Sports Injury Clinic Inc.
Sciatic Nerve Pain is a common topic of discussion that comes up often with physiotherapy patients and their physician. The sciatic nerve starts in your spine and then runs to each of your ankles. It is the longest nerve in the human body. Sciatic pain can cause numbness, aching, and sometimes even trembling. It can also cause weakness in the knees. The reason that sciatic pain occurs is because of pressure put on the sciatic nerve, oftentimes due to a prolapsed disk. Sitting in an unnatural position for long periods of time can set sciatic pain off, as can being pregnant. Heavy lifting or vigorous exercise can also cause sciatic pain. When sciatic pain hits, pain relief is the only thing on your mind! Of course, there are traditional medicines such as aspirin or ibuprofen, but they oftentimes are not enough. For excellent, natural, pain relief, essential oils can often do wonders. Remember when using essential oils for rubbing on your skin, you must dilute the essential oil into a carrier oil. Carrier oils can be coconut oil, olive oil, jojoba oil, argan oil, and other less potent oils. Coconut oil is the most popular to use because it’s easy to find in most local department stores and pharmacies. Never put essential oils directly on your skin, as they are too strong and can cause reactions. Marjoram has many benefits that can help ease serious sciatic pain. Marjoram has warming effects and soothes the area you put it on. It eases pain and also reduces inflammation. Marjoram also has the added benefit of easing stress and calming your emotions. Eucalyptus is used in a lot of over the counter pain reliefs, such as pain patches. Eucalyptus oil is popular for relieving pain because it has anti-inflammatory properties as well as a natural warming ability which soothes the pain. Eucalyptus also contains a natural analgesic which works as a natural pain relief. Lavender also contains analgesic qualities and anti-inflammatory properties. Lavender has the added benefit of helping you sleep and reducing anxiety. Peppermint oil not only has a wonderful scent, it also can help ease the sciatic pain. Like so many of the other popular pain-relieving oils, peppermint has a natural analgesic and anti-inflammatory. While rosemary may make you think of a good chicken dinner or a Simon and Garfunkel song, it can be used to reduce sciatic pain. Rosemary has many uses, and one of them is its analgesic properties. It is an excellent oil for general aches and pains. Pain from your sciatic nerve can seem impossible to deal with, but these various oils can go a long way in helping. To book a consultation, call Dynamic Physiotherapy today at 289-201-2451 (Mississauga), 289-812-3992 (Burlington), or contact us here.